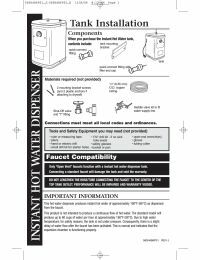 This kit includes the Quick & Hot instant hot water tank and the MT1500-NL Contemporary Hot Water Dispenser. There are many different finishes to match your personal style. 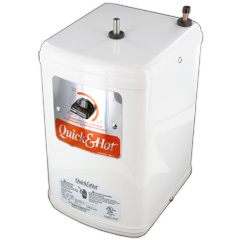 The Quick & Hot AH-1300-C is a great addition to your kitchen or office to provide hot water for instant coffee, tea, hot chocolate or soup. 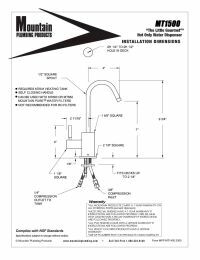 The AH-1300-C is adjustable between 140° and 190° and can provide up to 100 cups per hour of hot water. 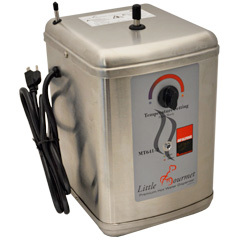 Mountain Plumbing includes the MT641-2 Little Gourmet Premium Hot Water Tank in their MT1500DIY-NL. 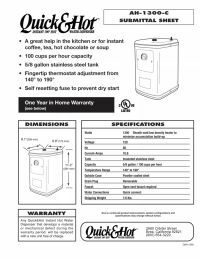 We are offering the Quick & Hot AH-1300-C Instant Hot Water Tank which has very comparable features, requires less space under your sink and is fully compatible with the Mountain Plumbing hot water dispenser faucets.